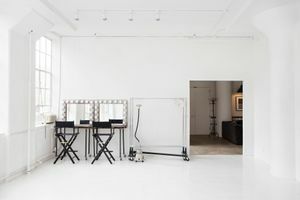 The bright and chic loft in Chelsea is in excellent condition and is ideal for Photo and Film Shoots, Private Events and Exhibitions. 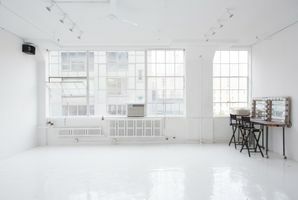 With clean white interiors and large windows which bring a radiant natural light into the space, this studio has a contemporary atmosphere and beautiful views. 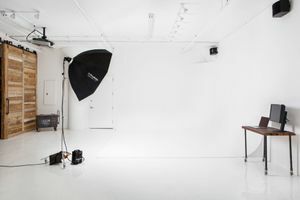 Wood panelling detail and high quality lighting equipment give this space a highly professional feel. 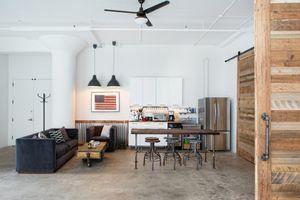 It is a prime and well facilitated creative work space, with an open plan office and seating area with a small kitchen. Facilities include Wi-Fi, lighting, bathrooms and furniture.